The Largest Producer of Clan Crest Products in the World! Celtic Studio produces over 125 unique Clan crest products for every Scottish Clan name. All Clans are available without exception! 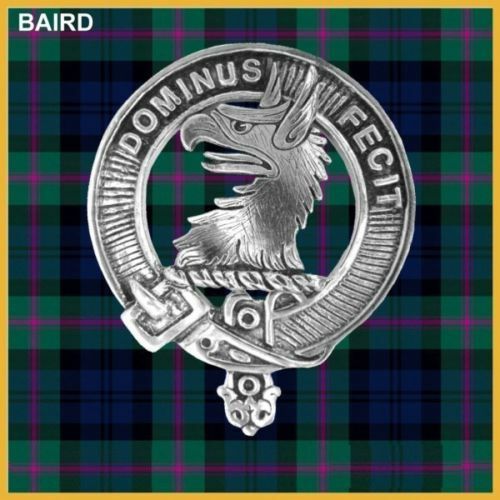 We feature six different styles of Clan rings in sterling silver and karat gold, Clan crest badges in both sterling silver and high quality pewter, eight different styles of Clan pendants in pewter, sterling silver and karat gold and Clan kilt pins in a variety of materials and styles. You can even have your Clan badge mounted on a complete range of whiskey flasks or a beautiful tankard. We also create Clan garments for every Clan; T-shirts, Clan golf/polo shirts and Clan sweatshirts. In our garment range we also produce wonderful “wee” baby Clan jumpers. ﻿﻿A﻿﻿lways a perfect gift for a newborn Scot. Also, have a look at our large range of engraved items; Clan flasks, Clan Tankards and wonderful Scottish glassware; Clan decanters, Clan Scotch glasses and even Clan crest wine glasses. Perfect for that wedding toast! Not only do we produce the largest range of Clan crest products in the world but we also produce a wide range of other popular traditional Celtic design products; beautiful Luckenbooths, prickly thistle jewellery, romantic Celtic interlace rings, ancient Celtic crosses and novelty Scottish theme T-shirts, golf/polo shirts, and sweatshirts that will make you laugh! Our range of products is vast! We have been creating products for over 38 years... all made in our small Studio. Because we are the creators of the products we sell we have complete control over quality you are assured of the highest craftsmanship and personal care. There are no middle men to deal with! You deal directly with the artists and designers. We are the manufacturer of all we sell which means that we can also produce any specialty item that you may wish. Please inquire!